The New York Yankees ran their spring training record to 8-9-2 with two wins this weekend, but not all the news was rosy. Jacoby Ellsbury was hit on the right wrist Saturday which will keep him out of action until at least Thursday according to MLB.com’s Bryan Hoch. Ellsbury had X-rays and a CT scan which both showed no fractures. 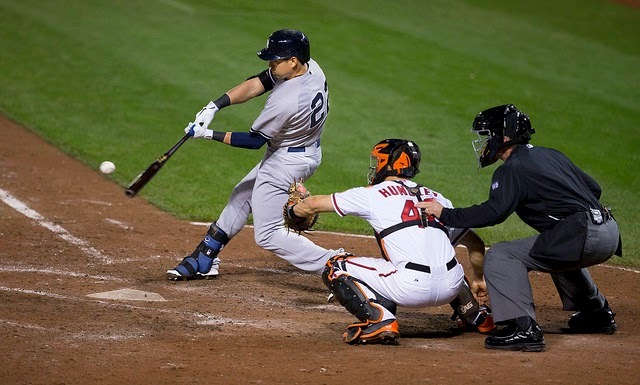 With two weeks left until the start of the regular season Ellsbury should have enough time to be ready for Opening Day. If Ellsbury doesn’t heel quickly enough, or if the Yankees botch another handling of X-rays/scans and there is something more coming, Aaron Hicks will take over center field according to manager Joe Girardi. As I mentioned at SNY Saturday, Hicks taking over center field makes sense because he’s a better fielder now than Brett Gardner, and it allows Gardner to stick in a stable situation in left field. Hicks was traded for to fill any vacancy that pops up in the outfield, so when one of the starters goes down, Hicks slides into their place. The fifth starter “competition” between CC Sabathia and Ivan Nova became closer insofar as outsider judgment terms with Nova’s 4 1/3 innings of four-run ball in which he allowed eight base runners. In my view, Sabathia is a clear cut favorite for the role despite the Yankees trying to spin it otherwise. If Nova struggles in his next appearance, don’t be surprised if he begins to work out of the bullpen the rest of the spring so he is ready for such a role when the regular season begins.